Post summary: How to control what objects are being instantiated when using PowerMock. You might have a method which instantiates some object and works with it. This case could be very tricky to automate because you do not have any control over this newly created object. This is where PowerMock comes to help to allow you to control what object is being created by replacing it with an object you can control. Below is a simple method where a new object is being created inside a method that has to be unit tested. PowerMock allows you to control want new objects are being created and replacing them with an object you have control over. Post summary: How to mock private method with PowerMock by using spy object. In some cases, you may need to alter the behavior of private method inside the class you are unit testing. You will need to mock this private method and make it return what needed for the particular case. Since this private method is inside your class under test then mocking it is little more specific. You have to use spy object. A spy is a real object which mocking framework has access to. Spied objects are partially mocked objects. Some their methods are real some mocked. I would say use spy object with great caution because you do not really know what is happening underneath and whether are you actually testing your class or mocked version of it. Below is a simple code that has a private method which created new Point object based on given as argument one. This private method is used to demonstrate how private methods can be called in Call private method with PowerMock post. In the current example, there is also a public method which calls this private method with a Point object. PowerMock provides a way to mock private methods by using spy objects. Mockito also has spy objects, but they are not so powerful as PowerMock’s. One example is that PowerMock can spy on final objects. 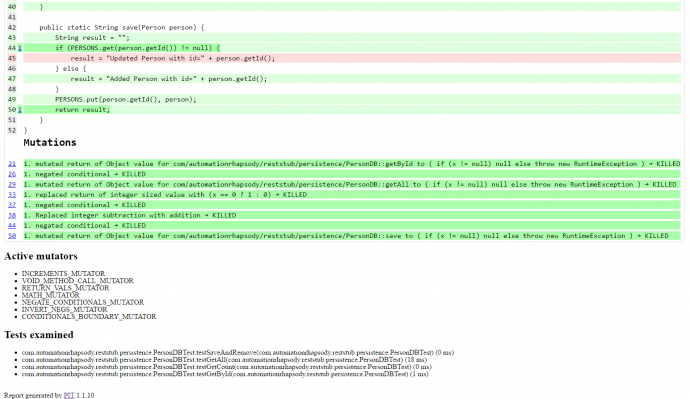 Post summary: How to verify that static method was called during a unit test with PowerMock. In Mock static methods in JUnit with PowerMock example post, I have given information about PowerMock and how to mock a static method. In the current post, I will demonstrate how to verify given static method was called during execution of a unit test. This is the full code. Additional details are shown below it. Class containing static method should be prepared for mocking with PowerMockito.mockStatic(Utils.class) code. Then call to static method is done inside locatorServiceUnderTest .generatePointWithinDistance() method. In this test, it is intentionally called 2 times with different distance (1 and 234) in order to show the verification which consists of two parts. First part is PowerMockito.verifyStatic(VerificationModeFactory.times(2)) which tells PowerMock to verify static method was called 2 times. The second part is Utils.randomDistance(1) which tells exactly which static method should be verified. Instead of 1 in the brackets you can use anyInt() or anyObject(). 1 is used to make verification explicit. As you can see there is second verification that randomDistance() method was called with 234 as well: PowerMockito.verifyStatic(VerificationModeFactory.times(2)); Utils.randomDistance(234);. PowerMock provides additional power to Mockito mocking library which is described in Mock JUnit tests with Mockito example post. In the current post, I have shown how to verify static method was called. It is very specific as verification actually consists of two steps. 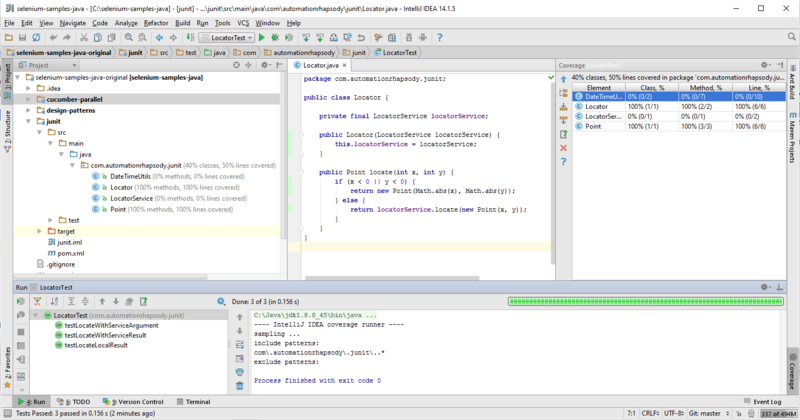 Post summary: Details with code samples on JUnit methods execution sequence. In order to be effective in your unit tests, you need to know in details how JUnit works. 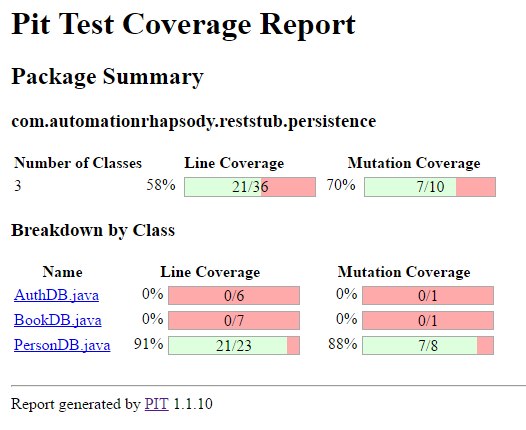 In this post, I’ll show what is the execution sequence in one JUnit test. The code shown in the current post is available on GitHub java-samples/junit repository. Methods annotated with @Before and @After – those are public void methods that do some specific setup/teardown before and after a test method. Generally, it is good to have just one @Before and @After method, but JUnit allows as much as you have. Execution sequence with the same annotation is in order of appearance in the file. Methods annotated with @BeforeClass and @AfterClass – those public static void methods which do some setup/teardown just once before and after all tests have started/passed. An also good idea to have just one of each, but in case of more with the same annotation, they are executed in order of appearance. Methods annotated with @Test – those are public void methods with actual tests logic and asserts. Generally, there should be many test methods in a class. Default JUnit execution order is by name ascending. Still, this is not always guaranteed. Although bad practice to have a sequence of unit tests this can be done by annotating your test class with @FixMethodOrder(MethodSorters.NAME_ASCENDING). Test class constructor – each and every test method is run in its own object instance, so constructor is run on instantiation. It is not very good practice to do something in test class constructor. Setup should be done in a @Before method. starting() and finished() – methods come from TestWatcher class and are run on start/finish of class/method. succeeded(), failed() or skipped() – one of this is executed based on class method result. Rule constructor – it is not recommended to use something in rule constructor. In order to design your tests correctly, it is good to know what is JUnit methods execution order. @Before/@After methods are executed before/after each test method. @BeforeClass/@AfterClass are executed just once per test class on its start and end. Rules provide a capability of extending the standard functionality. It is possible to use @Rule for each test method or @ClassRule for the whole test class. Post summary: How to retry failed JUnit tests immediately and if a retry is OK then report test as passed. There are mainly three approaches to make JUnit retry failed tests. 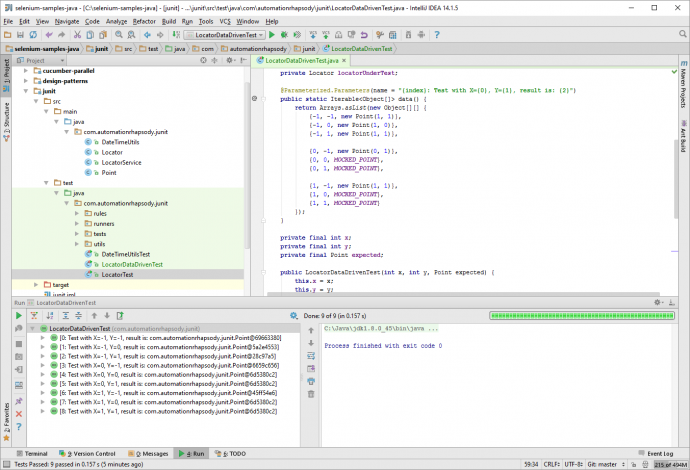 JUnit rules – code listed in the current post can be used as a rule. See more for rules in Use JUnit rules to debug failed API tests post. Problem is @Rule annotation works for test methods only. In order to have retry logic in @BeforeClass then the @ClassRule object should be instantiated. JUnit custom runner – this post is dedicated to creating own JUnit retry runner and run tests with it. The code shown above is available in GitHub java-samples/junit repository. Making JUnit to rerun is easy, the harder thing to do is to fix your tests so they pass from the first time. Generally, it is not good to have tests that are flaky.